You sometimes have to be careful what you wish for. I encouraged 047 (Sebastian Rutgersson and Peter Engström) and their move toward more traditional vocal driven synthpop. Parts of the last album, “Elva”, had incorporated that and I was all over it. Now on “&”, when I get a full album with clever electronic pop and vocals from a wide variety of artists, I kind of miss their humble bitpop beginnings. It has become clear to me after spending a fair amount of time in the company of “&” that “Elva” was the perfect combination of their “Robopop” album and this one. That irresistable combination of chiptune playfulness and more traditional song structures were a winning combination. That’s not to say that this set of songs is bad in any way. On the contrary, “&” holds tracks of prime quality. More pop than ever I am not sure the old fans will be onboard for it, though. Given the proper backing, I could see several tracks here reach a mainstream audience. One of those is the brooding midtempo burner “Bad Blood” with Christian Kjellvander on vocal duties. “Can’t Fix This”, with Marit Lissdaniels by the mic, has both a beautiful melody and a strong indie vibe going for it and should be a staple on national radio. My personal favourite, though, is the catchy “Allt å ingenting” (the only track with Swedish lyrics) featuring Maj Monet. Sweeping synths and a supercool chorus. 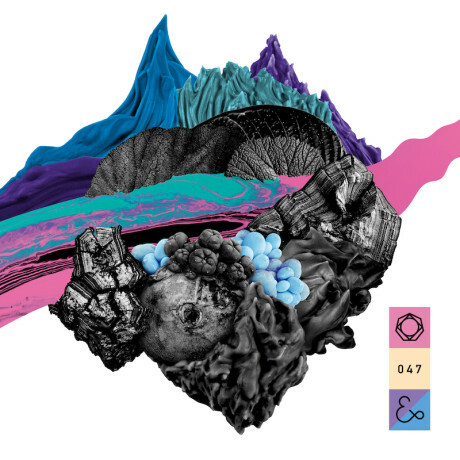 “&” could be the breakthrough 047 have been waiting for. It certainly has the potential for it. Still, I wouldn’t mind new material (maybe a side project) reminiscent of their classics like “Ping Pong”, “General Error” and “Ankan”. That’s where the lads shine melodically. “&” is a new step and one that will hopefully be rewarded appropriately.